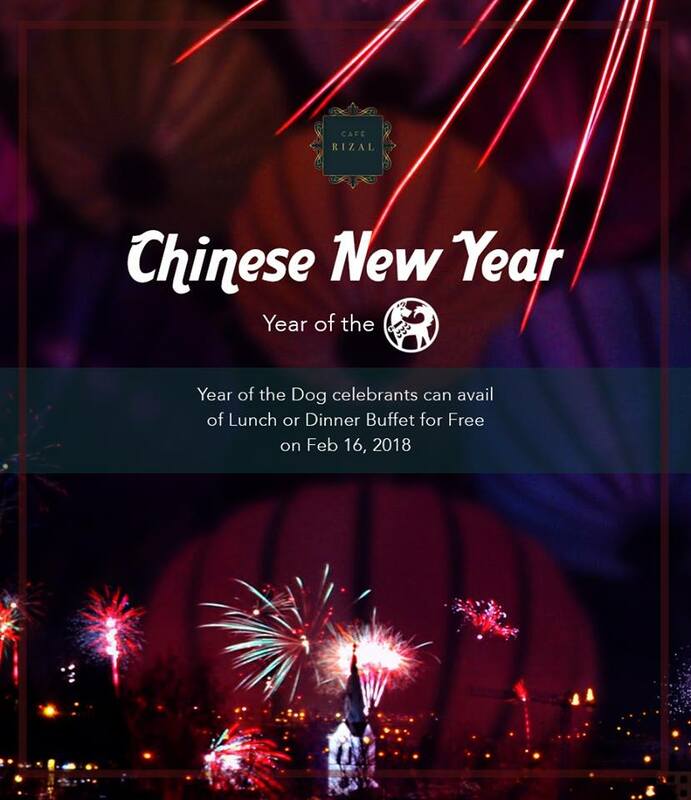 Good news to all Year of the Dog celebrators! You are invited to celebrate 2018 in style at Cafe Rizal for FREE! 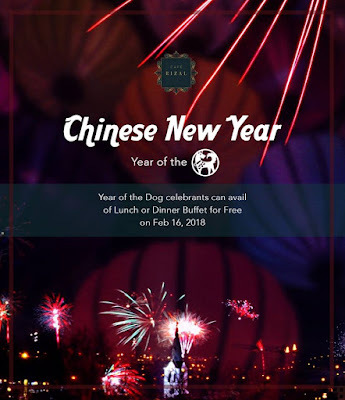 All Year of the Dog celebrators can avail of Lunch or Dinner buffet for FREE if accompanied by 4 FULL-PAYING ADULTS and must present a VALID Government ID with date of birth. This promo runs until February 28, 2018 only.